Gatorade, Apple Pies and Energy Drinks - Oh My! You may have noticed something bright and NEW in our two break areas today. 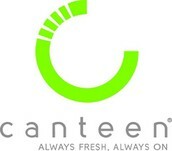 Please help me welcome our new vending machine provider “CANTEEN.” We are excited to have them working with us and look forward to a long snack filled relationship. 1. 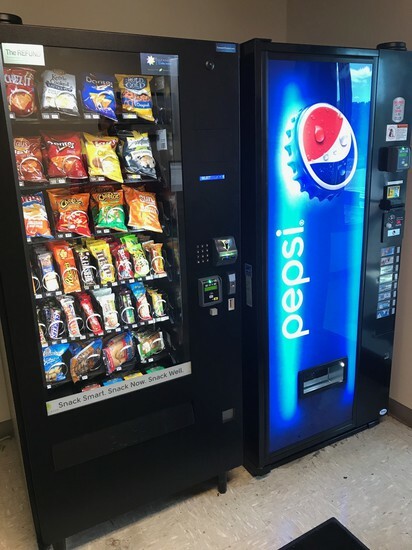 You will see several new options in both the snack and drink machines (the break room down the hill even has an energy drink). If items are not big sellers they will transition them out to other options. We are expecting better service and faster restocks from this new company. 3. These new machines have a sensor at the bottom. If your bag of chips gets snagged and it doesn’t make it to the bottom- the machine should refund your money automatically. That one item will become unavailable and it will not allow anyone else to purchase until the door has been opened for a repair. 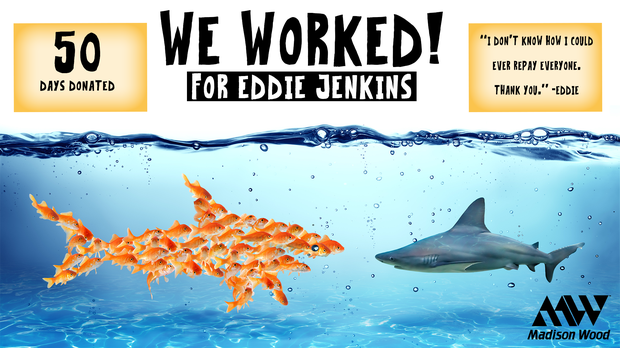 50 Days Raised for Eddie Jenkins! We got to tell Eddie about how all of you came together and donated your vacation days to help him in this rough time. He was incredibly thankful. Every hour donated along with the many financial donations had him at a loss for words. Eddie has worked here for 17 years. He is a great worker and had become a part of our team--- Our family. Thank you for showing him your support and love. You guys rock. I see a few of you checking in and liking our business page. Please keep it up! We have enjoyed reading some awesome reviews and hope to see more in the future. 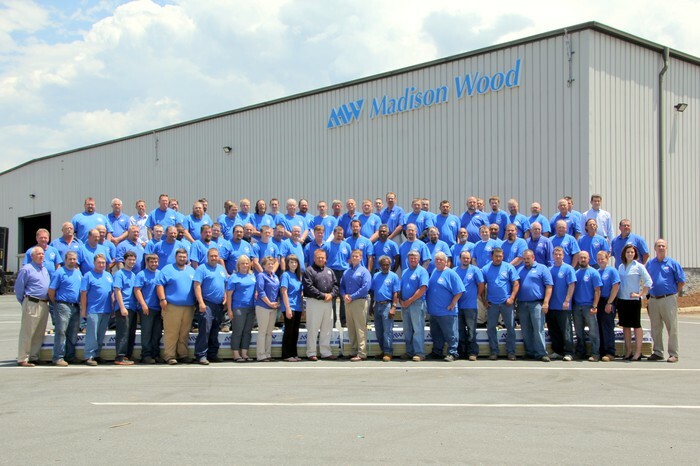 Click the link below under "We are Madison Wood" to get started.